We welcome applications from international students who wish to undertake their full undergraduate degree programme at NUI Galway. We offer a combination of flexible ‘open’ degree programmes as well as specialised courses for students who know exactly what they wish to study at university. 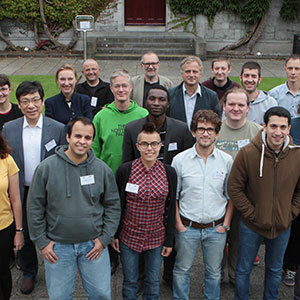 Undergraduate study at NUI Galway is based on research-led teaching. 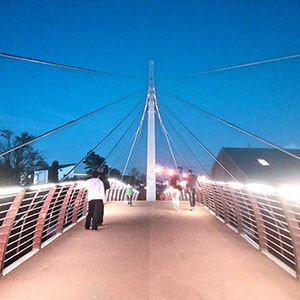 With over 50 individual programmes across sixteen schools, we offer an extensive choice of both broad-based programmes, that allow you the opportunity to study a range of subjects, as well as more specialised programmes, aligned to professional qualifications or the University’s particular areas of research expertise. 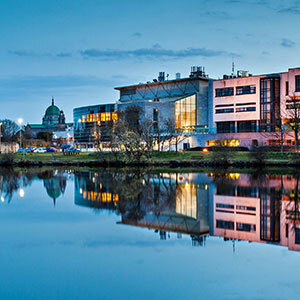 Most undergraduate degree programmes at NUI Galway and other Irish universities are generally quite specialised from the first year of study. Unlike for example in the United States and other countries that follow the US model of higher education, students in Ireland generally focus on one main area of study from their very first year of university e.g. Arts and Humanities, Business, Engineering or Science, etc. NUI Galway offers a number of ‘open’ degree programmes within each area of study that allow students to explore different subjects and gain a solid grounding in their chosen area before specialising further in their second and third year. For example, a student interested in the Arts and Humanities, Social Sciences, or Modern Languages etc., might consider the Bachelor of Arts (Omnibus) whereas students interested in Business, Science or Engineering might consider the Bachelor of Commerce, Bachelor of Science (Undenominated) or Bachelor of Engineering (Undenominated) respectively. Bachelor degree programmes are delivered through a combination of large lectures and smaller tutorials and/or laboratory classes (where relevant). 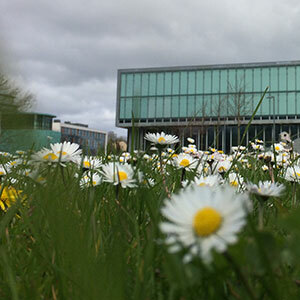 The academic culture at NUI Galway involves a good deal of independent learning and students are required to undertake self-directed study outside of regular teaching hours. While Continuous Assessment is increasingly used, you may find that the academic culture at NUI Galway is more heavily geared towards formal end of term examinations compared to your home country. Depending on the discipline, you can expect that most classes will require an end of semester exam (usually 2 hours) which will count for approximately 70-80% of your grade. In the absence of regular testing, students are required to undertake a good deal of self directed study throughout the semester in order keep up with their workload. We recognise however that this style of learning may be a big change from the teaching you have been used to at Secondary School (High School) in your home country and so our lecturers and support staff offer you plenty of support to help you make that transition. Bachelor degree programmes are based on the European Credit Transfer System (ECTS). Most classes (modules) consist of 5 ECTS credits, while a typical degree programme consists of 60 ECTS credits per year. Some Honours degree programmes in disciplines such as Arts/Humanities, Business and Law can be completed in three years of full time study, however students undertaking a period studying abroad or a placement off campus as part of their degree are usually required may to study for four years before graduating. All honours degree programmes in Science and Engineering are four years in length, while programmes such as Medicine are a minimum of 5 years. While we very much welcome applications from international students, opportunities to be granted advanced standing on a degree programme, based on credits earned at a university overseas, are generally limited. 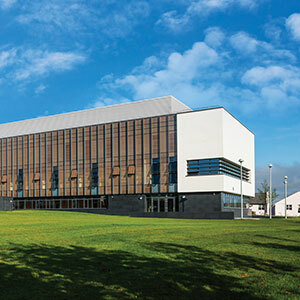 This is largely due to the differences in the curriculum between universities in different countries but also because degree programmes in Ireland are generally based on a highly structured, sequential set of specific classes (modules) that is set by the University, based on a student's particular degree programme. 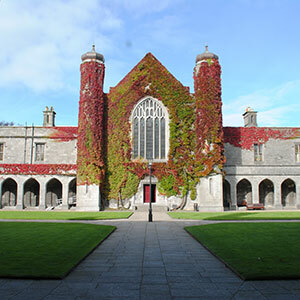 Students currently enrolled at an overseas university can however apply to attend NUI Galway as a visiting student. 1. Please note that all international applications for Medicine must be made through our international representatives: Atlantic Bridge (North American applicants) or IUMC (Southeast Asia/Australasia). 2. Please note that NUI Galway does not currently offer international places on undergraduate programmes in Nursing, Midwifery and Occupational Therapy. International students are assessed based on their school grades and their performance in relevant standardised examinations in their home country. Entry requirements for research programmes vary. Please refer to the country specific information section of the websiteor contact the International Office for further details for your country. Applicants whose first language is not English must also meet the University’s English language requirements. Students applying for full undergraduate degree programmes from outside of the European Union (EU), and who are liable for full non-EU tuition fees, should apply directly to the International Affairs Office at NUI Galway. Original or certified copies of school transcripts/examination certificates (or forecast results if available). Where an applicant has not yet completed Secondary School (High School), the most recent transcript should be submitted. SAT and/or ACT scorecard (US Applicants). 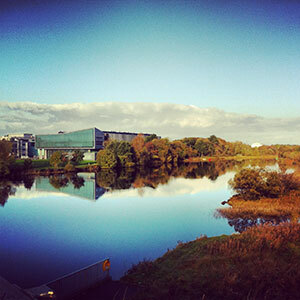 The NUI Galway SAT code is 5878. The NUI Galway ACT code is 5351. A Personal Statement (typed) of no more than 800 words outlining your academic interests, sporting and/or cultural interests and your reasons for wanting to study at NUI Galway. You may also include aspects of your academic career that are not necessarily reflected in your application. Two Letters of Recommendation (in a sealed envelope), ideally from a teacher and/guidance counsellor or someone who knows you personally. IELTS or TOEFL certificate, in the case of applicants whose first language is not English. Applications for entry September can be submitted from 1 November of the previous year. Decisions on applications are made on a rolling basis throughout the year, so you should apply as early as possible. Applicants can expect a decision usually within 4-6 weeks of submitting a complete application. Our deadline for receipt of NON EU Undergraduate Applications is Friday 28th June 2019. There is no application fee for Non-EU Undergraduate Applications.